In 2018, people on Twitter connected, campaigned, learned, debated, and had conversations. They came to share opinions and see other points of view. From #MeToo to #Sarkar, #IPL, state elections, and everyday interests, Indians flocked to Twitter to find out what’s happening in the world and to talk about it. Virat Kohli's (@imVkohli) Tweet featuring a picture with Anushka Sharma (@AnushkaSharma) on the occasion of Karvachauth, quite literally won hearts on Twitter. With over 215K Likes, the Tweet showcasing the celebrity couple in ethnic wear emerged as the Most Liked Tweet of 2018*. Tweets and hashtags connect people across the world during key moments in news, politics, entertainment, music and sport. They share joy, humour, news, ideas and opinions about the biggest conversations in real time. In 2018, regional entertainment conversations expanded and generated massive engagement on Twitter in India. South Indian films #Sarkar, #Viswasam, #BharatAneNenu, #AravindhaSametha, #Rangasthalam, #Kaala and TV show #BiggBossTelugu2 clinched 7 of the top 10 Hashtags this year. Released in 2018, #Sarkar the Tamil film starring Thalapathy Vijay (@actorvijay) has been making massive gains worldwide, winning the appreciation of fans on Twitter. Underlined by a political theme, the buzz around the movie was further amplified with audiences taking to Twitter to express their opinions, and making #Sarkar the top hashtag trend of 2018. Viswasam, the upcoming 2019 Tamil action film featuring Ajith Kumar in a dual role, has started making waves on Twitter. The unveiling of the first look of the film led to the industry and fans Tweeting their excitement, enabling #Viswasam to emerge as a top hashtag on Twitter in anticipation of its launch. The Telugu blockbuster Bharat Ane Nenu was released in 2018 and became one of the biggest hits in the lead actor Mahesh Babu's (@urstrulyMahesh) career so far. The film received positive reviews from the audience and critics, with fans taking to Twitter to celebrate its success. Aravindha Sametha – the 2018 Telugu release broke all records at the box office as the movie minted more than Rs 100 crore in just three days worldwide. Starring Pooja Hegde (@hegdepooja) and Jr NTR (@tarak9999), the movie’s huge success reflected on Twitter as fans voiced their appreciation. Rangasthalam is a 2018 Telugu-language period action drama film that became the third highest grossing Telugu movie of all time after the Baahubali series. The success of the film was evident from the volume of conversations on Twitter, with the industry and audiences pouring in their praise and applause earning the film one of the top hashtags of the year. The Tamil-language socio-political drama film starring superstar Rajinikanth, #Kaala, evoked a massive response from fans worldwide. The first-ever Rajinikanth emoji on Twitter further led the movie to be a topic of high interest on Twitter amongst fans, audiences and industry. Now in its second season, the Telugu edition of the reality TV series Bigg Boss continued to be one of the most talked about shows in the world of television in India and on Twitter. The #MeToo movement emerged in India this year. As the hashtags #MeToo and #MeTooIndia continued to trend in the country, people started to pay more attention to women’s safety issues across sections of the Indian society, including government, media and the Bollywood film industry. With 2018 being their comeback year, Chennai Super Kings (@ChennaiIPL) had the crowd chanting #WhistlePodu as they made the dash for the coveted IPL 2018 trophy. Encouraging fans to cheer for the team, @ChennaiIPL made a special video for #WhistlePodu, the colloquial expression in Tamil which means ‘to whistle’, and drove the fans into a Tweeting frenzy with their performance. India’s biggest cricket extravaganza #IPL2018 continued to be a major topic of conversation on Twitter even in its 11th edition. Special Twitter emojis for all the eight franchises this year added to fans’ enthusiasm on Twitter in support of their favourite teams and amplified the cricket excitement on the platform. 2018 was also the year when Twitter reacted en masse as people demanded #JusticeForAsifa, engaged in ongoing political debates on #KarnatakaElection and #Aadhaar. But it wasn’t just politics and movements that had people Tweeting in 2018. India celebrated #DeepVeer’s romance as well as major wins at global sporting occasions like #AsianGames as Indian athletes, including Bajrang Punia (@BajrangPunia), Hima Das (@HimaDas8) and PV Sindhu (@Pvsindhu), won laurels. South Indian film #Sarkar led the rise of regional entertainment conversations on Twitter this year. The film starring Thalapathy Vijay (@actorvijay) earned massive engagement from the film aficionados on Twitter for its star power and generated conversations on its political theme. From the launch of Padmaavat (@filmPadmaavat) earlier this year to wedding bells in November, celebrity couple Deepika Padukone (@deepikapadukone) and Ranveer Singh (@RanveerOfficial) continued to give people major relationship goals and became the talk of the town on Twitter in 2018. The emergence of the #MeToo movement in India saw women across industries speaking out against sexual harassment. The movement has drawn global attention and increased awareness of women’s safety in India, an exemplary representation of hashtag activism. Twitter saw more than 3 million mentions in relation to the #KarnatakaElections2018 from Apr 25 - May 15, 2018. Despite the fact that the election occurred in one State of India, i.e. Karnataka, discussions on Twitter were vibrant all over the country and even overseas. The #KeralaFloods brought together government agencies, relief organisations, famous personalities and regular people on the platform to help rebuild Kerala. The people utilized Twitter to share information and crowdsource relief and assistance. The heinous crimes committed against 8-year-old Asifa Bano led to widespread protests and international attention. Outraged citizens flooded Twitter, expressing their angst and demanding #JusticeForAsifa. Conversations around the Aadhaar’s privacy issues resurfaced in 2018. As the Supreme Court upheld the constitutional validity of Aadhaar, Indians across the world exchanged their opinions on the platform regarding the verdict and the provisions on linking the unique ID with various non-essential services. Fan engagement touched new heights on Twitter as the #IPL completed its 11th season. To mark this landmark season, fans on Twitter cheered on their teams and celebrated with specific emojis for all the eight franchises part of the competition this year, based on their taglines. With 2018 being their year of comeback, Chennai Super Kings (@ChennaiIPL) had the crowd chanting #WhistlePodu as they made the dash for the coveted IPL 2018 trophy. Encouraging fans to cheer for the team, @ChennaiIPL made a special video for #WhistlePodu, the colloquial expression in Tamil which means ‘to whistle’, and drove the fans into a Tweeting frenzy with their performance. As Indian athletes, including Bajrang Punia (@BajrangPunia), Hima Das (@HimaDas8) and PV Sindhu (@Pvsindhu), won laurels at the #AsianGames2018 and clinched a total of 69 medals, congratulatory Tweets poured in from all parts of the country to rejoice in their victory and welcome the heroes home. With the backdrop of the state elections in India, it is no surprise that political conversations were at an all-time high in 2018, with 6 politicians making it to the Top 10 Most Talked About Indian Accounts list. Prime Minister Narendra Modi (@NarendraModi) tops the charts. Entertainment completes the rest of the Top 10 represented by actors Pawan Kalyan (@PawanKalyan), Shah Rukh Khan (@iamsrk), Thalapathy Vijay (@actorvijay), and Mahesh Babu (@urstrulyMahesh). 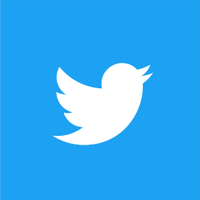 People in India and all over the world come to Twitter every day to have conversations and to find out and catch up on what’s happening in the world. Whatever happened, in every corner of the world, and on any topic imaginable, it happened on Twitter in 2018.